Our Avant WorldSpeak Sample Test is currently in development. The information below is intended to walk you through the flow and functionality of the sample test. The items in this sample test are not language specific. 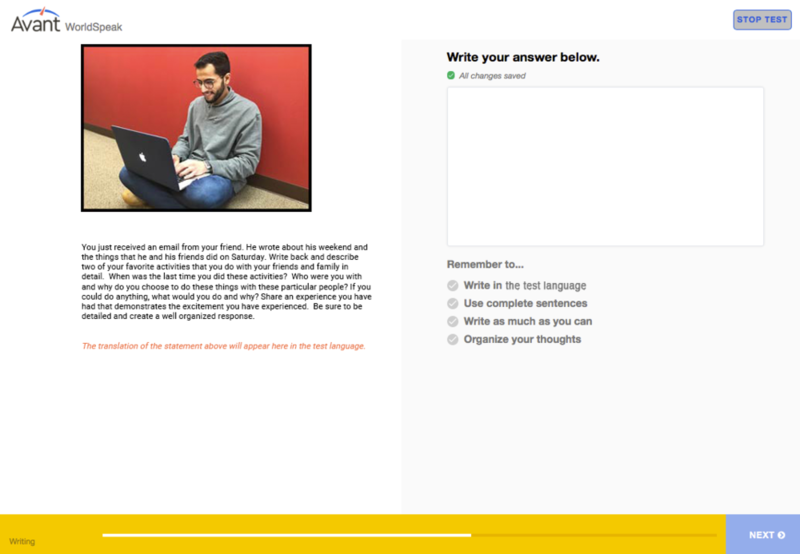 The actual WorldSpeak test includes test questions in English and the target language. 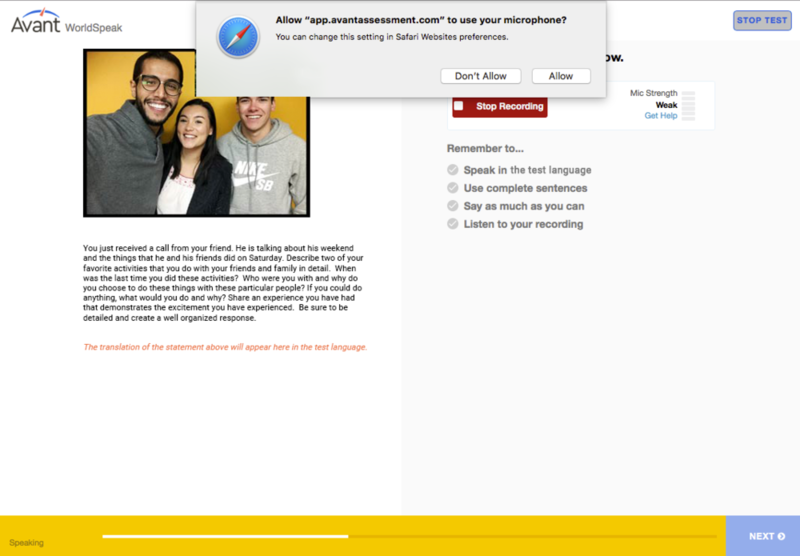 The WorldSpeak Sample Test will provide the following Can Do Statements, 1 Writing Prompt, and 1 Speaking Prompt. 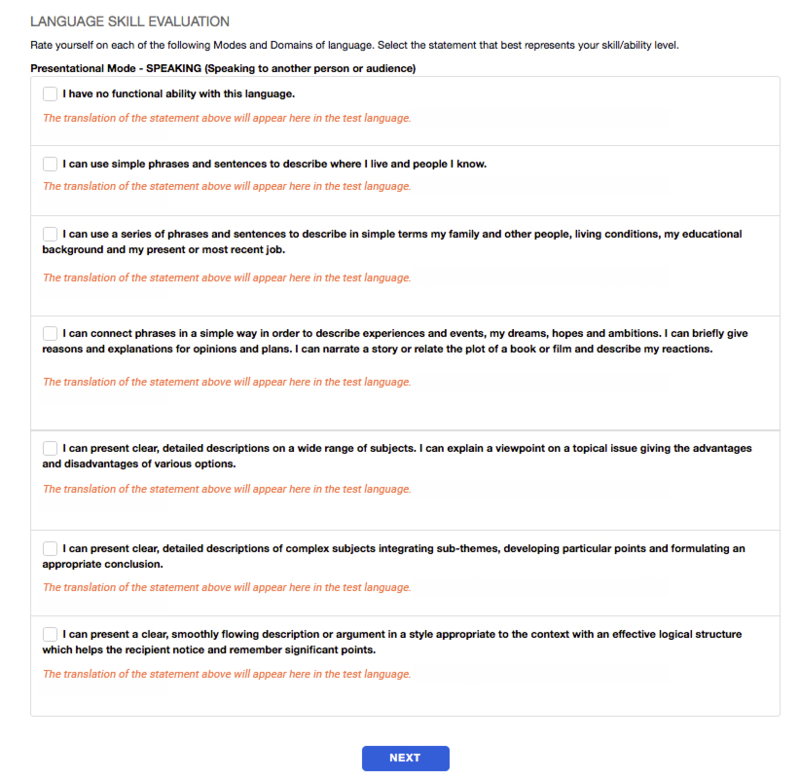 In the actual WorldSpeak Language Proficiency Test, test takers will encounter the following Can Do Statements, 4 Writing Prompts, and 4 Speaking Prompts. You will begin the sample test by answering a series of Can Do Statements. These statements will be provided in English, as well as in the target language. After completing the Can-Do statements, you will then receive one Writing prompt. We encourage you to do your best to showcase your best language skills. 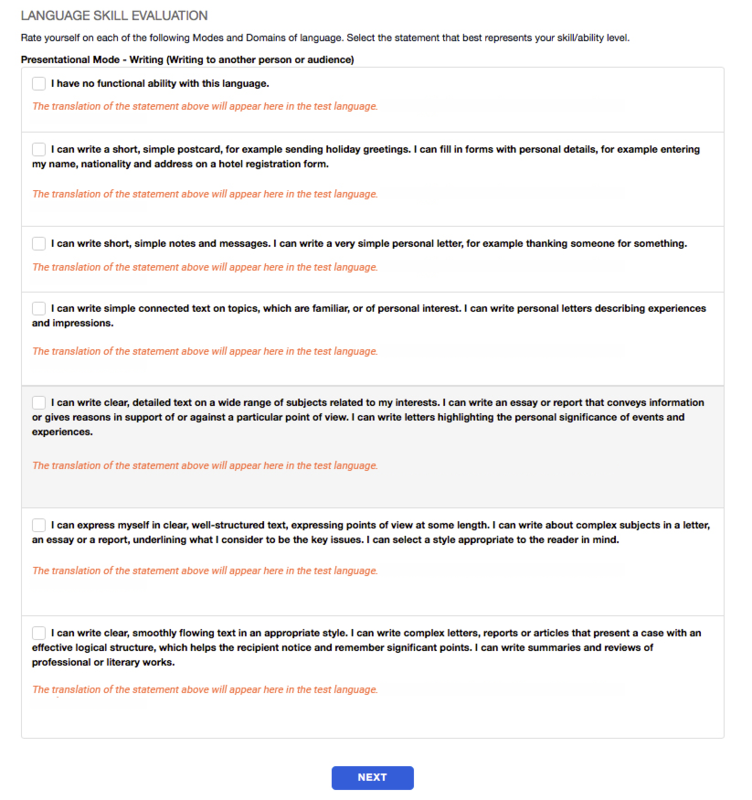 In your response, provide great detail and enough language to demonstrate your true ability with the language. Each prompt will be provided in English, as well as in the target language. After completing the Writing prompt, you will then receive one Speaking prompt. Click “Allow” so the system can access your microphone.